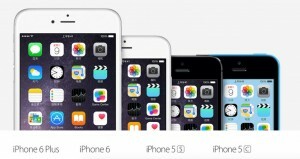 Whether you like iPhone 6/6 Plus or not, they are proved to be successful smartphones. For those who do not own an iPhone, or who would like to buy an iPhone6, is it a good time to gain one now? PhoneArena reported that it is not a good time to purchase one, following for reasons. It is not too far until the new iPhone version being released. Even though there are not many changes in appearance of iPhone, it will equip with stronger phone body, latest A9 chip and possibly with a 12 megapixel camera and support 4k video recording. It is possibly to cut down its prices when the new iPhone series have been released base on Apple’s business practice. The prices of iPhone6/6Plus will be $100 cheaper respectively. Besides iPhone 6 /6Plus, there are a series of Android handset devices are cheaper than them and those Android handsets come with better design and configuration such as Galaxy S6, LG G4. 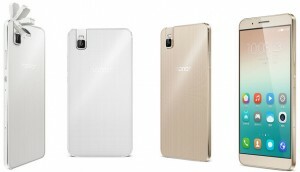 There are also a range of Android handsets will be released besides iPhone new products. You may be attracted by those Android handsets, including a Google next-gen Nexus and Sony Xperia Z5. If you would like to buy a smartphone for high quality with sound price, you’d better to wait for a while. It is reported that there will be many new phone handsets releasing in September. The delivery means of Amazon could be a hot topic. Amazon has been working hard to deliver goods for its consumers as quickly as they could. There are reports showing that the internet retailer is on a trial of takeaway food delivery in Seattle. It seems Amazon could soon add the takeaway food delivery to its list of services. Amazon is now expanding its business scale in hot meal deliveries via its drivers to deliver food to its staff from local restaurants, reports GeekWire. This new service is an expansion of Amazon Prime Now, and it could help the company to attract more consumers as a subscription deal promises to deliver goods to them within an hour. 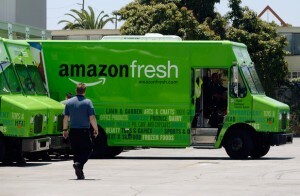 Amazon has engaged the business into food delivery as it launched the Amazon Fresh grocery service in the US. There are reports unveiled that this service will be heading to the UK in the near future. There are many other players in the US competing with Amazon, Grubhub and UberEATS included. And Deliveroo also establishes its business relationship in the UK. At present, Amazon has not made any official confirmation about the plans of launching takeaway food delivery service. If this service comes to the public, it would help the company to make more sales revenue. Facebook adds the Moments app to help you to set major events in your life to music. You will be able to experience this new feature on condition that you are not in the UK and Europe. Facebook made an update to its Moment app on August 25. The update includes a Flipagram-like option to turn six or more of your photos into a musical collage. It allows users to make excellent and meaningful videos with their photos. It is a pity that this Moments app has not been introduced to the UK or Europe at the right moment due to the privacy problems. 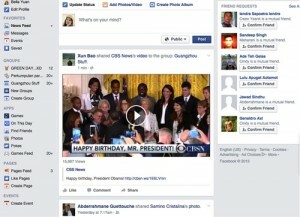 The Moments app was originally launched by Facebook in June to the US users in order to re-purpose the older pictures. The modification to Moments app added the facial recognition capability when users launch the Moments’ video feature. It is suggested to tag photos before automatically setting the images to one of 10 musical themes, such as you could set your photos or montage video to the relevant themes. By using the Moments app, the users can swap pictures included in each music video. It allows users an option to add filters or share with friends on Facebook, while this feature doesn’t come to other social networks yet. Huawei Honor 7i has upgraded its camera pixel and it comes with a rotating 13-megapixel camera for better selfies. The users can take perfect selfies with it. With the 13-megapixel shooter that slots into the rear of the 5.2-inch device, users can flip the camera housing up so that it’s forward facing. Users don’t need a selfie strikes to make selfies. To make good quality photos, the camera features an f/2.0 aperture, 28 mm wide-angle lens and a dual-ton LED flash. It also improves the case scratch-resistant function and designs the fingerprint identification onto its left-hand edge. The Honor 7i has launched in China ahead of a global release later in the year. Now Huawei it is reported that it may bring Honor 7i to US. Huawei devices have been introduced to 77 countries and regions. Its oversea revenue of 74 countries and regions reached 2.6 billion yuan in the first half of year in 2015. Among those countries and regions, India becomes its major and promising market. US t also becomes a key focus country for Huawei’s next market exploitation. Huawei would like to take this chance to introduce Honor 7i as a stepping-stone to future success in US market. EE TV has made new updates. The modified version provider users to find and view content with their flavors. EE TV introduces a new “my TV” setction and its updated set-top box will allow the users to create their favorite lists by adding their preferred programmes and channels. EE TV can be shared up to four users with one account. The users can make full use of the accompanying smartphone and tablet apps to watch separate content from its service at the same time. They can find their preferred content and shows easier with their favorite list so avoid the clutter. Its another feature being introduced is Fetch. You have to push the content from your smartphone to your tv with the application of riffing on the existing Flick function. While Fetch allows users to do in a different way, pulling the shows being watched on TV to their smartphone devices. There are several foreign channels provided on EE TV like France 24, Brazil TV, CaribBe TV, and the subscription-based MUBI. The users can make their options for those content served. The EE TV enables the smartphone and tablet owners to enjoy their favorite content with the new features. The update features make its service more personalized. The EE TV update features will be released to public on August 25. 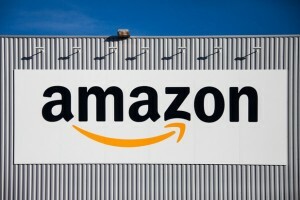 An US newspaper reported that Amazon workforce is facing the callous management practices. But Amazon has denied this allegation. The New York Times published this reported over the weekend and stated facts of sick and grieving employees at the retail giants being mistreated. The article it reported is based on the interviews with current and former employees of Amazon. They told the reporter that a female staff was asked to attend a business trip one day after she miscarried twins. Another female told that she did not get better treatment when she recovered from breast cancers. And she had the risk of losing her job due to sickness. It also printed a picture of Amazon’s competitive working environment. It shows that the workers face much pressure on their positions. Amazon employee Nick Ciubotariu made a response to this allegation on Linkedin and stated the newspaper’s report totally incorrect. An internal memo written by Amazon CEO Jeff Bezoson was leaked by The Next Web and it stated on the controversy about this matter. What the story told is not the one he is familiar with Amazon. He hopes this matter could be solved well. He was shocked by the description of callous management practices. He felt sorry for those people who being mistreated. It was tough for them as they got illness at the same time. Bezos urged his staff to deal with such issues among the employees and adopt effective measures to provide a better working environment for its employees and give them humanistic concerns. Three months after peeing Android incident, Google Map Maker can be able to edit content in select territories. The public critics forced the developer to lock down the service then. The search engine firm temporarily close the Map Maker editing service after the appearance of image on a custom-edited map that its Android logo peeing on the Apple emblem. After this incident occurred, Google has been looking for a more useful way to supervise the Map Maker in order to avoid same embarrassment happens. Obviously, the answer lies within the community. There are regional leads have been appointed by Google in Bangladesh, Brazil, Canada, India, Ukraine and the Philippines in the hope of examining the community content when they are submitted in those areas. Map Maker comes back to the public in these countries again. It is said that this service will be able to reopen in more places in the near future that depends on how many moderators have been recruited. Google announced the official line that Map Maker will be reopened step by step in other countries in the following weeks. Things can not be done in one step. Please be patient and pay close attention for its latest updates. With the new streaming search engine JustWatch, you can find your favorite movies and TV shows on demand easier as it dedicated to the major streaming services. 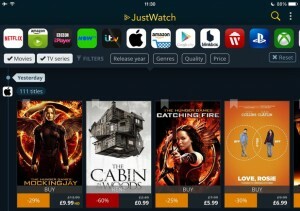 JustWatch has launched recently in UK. The customers can use JustWatch to search Netflix, BBC iPlayer, Amazon Prmie Instant Video, Now TV and other platforms with simple operations. The customers can search the new content on each service with the timeline. And there are also a range of filters help customers to choose the exact searches based on their favorite providers and genres. JustWatch implies that it would cut down prices on various platforms so that the users could get the best offers when placing orders or renting movie and TV content. This streaming search engine JustWatch is now able to have access on the Web. And the mobile users to use this JustWatch, they need to download an official app for Android and iOS. For smartphone users, they can use the device as a remote for navigating the service. JustWatch had launched in the US, Germany, Brazil, Australia and New Zealand for a while and it just arrived in the UK this week. We will see more response from the public in the UK then. Microsoft is always hoping to help more Android users to use advanced apps. It updated the Cortana virtual assistant recently aims at attracting more Android users to choose this service over Google Now. Its new version makes the service more viable. The Android users can now choose the beta version of Cortana to replace Google Now as their home button service. You could get its latest update for experiencing this new feature if you are interested. There are some detailed information of this service. This service allows Android users to activate Microsoft’s answer to Siri rather than holding down their home button for instant access when it occurs Android default. 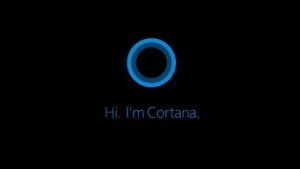 To compare with Windows Phone counterpart, the beta version of Cortana is not fully featured that it lacks the function to always listen for ” OK Cortana” commands. The US users can do a completing survey on Microsoft website in order to apply to participate in the Android beta trials. So it may take for a while for the users to experience it. You can visit its official website for more details. Cortana also brought in its desktop to the public at the same time when Windows 10 was released on July 29. There is report showing that up to 2.4 million of Carphone Warehouse customers may have had their data breached due to the company research. 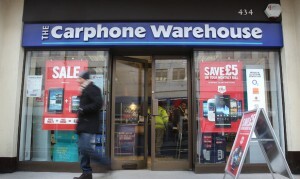 According to new resource of the mobile phone retailer, indicating the data of Carphone Warehouse customer has been accessed during a cyber attack, via clicking Sky news. The company had made the announcement for this issue. During the statement, the company reported that 90,000 customers may be in risks of data breach of their encrypted credit card details during the attack on August 5. The ” sophisticated” cyber attack was carried out on one of Carphone Warehouse’s divisions and that a top cyber security firm has been brought in. Sebastian Jame, chief executive of the retailer’s owner Dixons Carphone stated in a statement that they seriously protect the security of customer data. And they felt sorry for the those people who’s data have been affected by the cyber attack on their systems. The company would acknowledge those people who may have been affected on their data. What is more, the company will make related measures to handle this issue so that to protect their customers’ data safety.